At Eric Mower + Associates, we love working on pro-bono projects because it gives us a chance to do some really great creative work for a good cause. Working with Pints for Prostates is even more rewarding to us, it’s a cause that is special to us. Pints for Prostates was founded in 2008 by Rick Lyke who is a Senior Partner here at Eric Mower + Associates, a noted beer writer, and prostate cancer survivor. So, it seemed natural for Rick to draw upon his love for beer when he wanted to reach men in raising awareness about the importance of regular health screenings and early detection of prostate cancer. 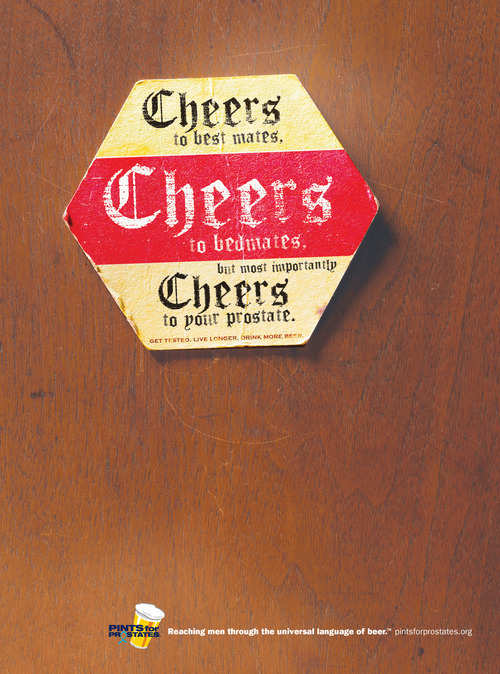 By making appearances at beer events, social networking and pro-bono advertising, Pints for Prostates’ grassroots campaign uses the universal language of beer to reach men with this important health message. So, armed with a brief and some research, Ruben Lopez, Associate Creative Director/writer, and I headed out to concept. Actually, we headed down to a local pub which seemed like a natural place for us to concept. This way we could consume a few beers and get our heads in the right frame of mind while thinking about how to reach men. Fortunately, for us, it took a few trips to a few different pubs for us to land on an idea that we felt excited about. And to think the idea was right around us the whole time. Beer toasts. 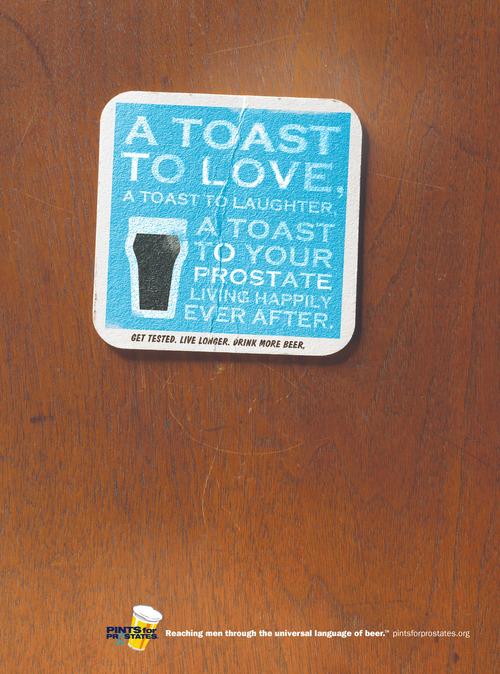 Toasts have been with us for centuries and are as common as beer itself. And a lot of these toasts wish you good health. What a natural fit. In researching these toasts, we found some traditional toasts, but discovered some beer toasts that had a very dry sense of humor. It’s these toasts that led us to creating our toasts that would communicate Pints’ message in a humorous way while making a strong point. After all, we wanted to create ads that would appeal to readers of magazines like Esquire, GQ and Mens Health. And we felt that a somber message highlighting stats about prostate cancer may turn readers off plus we wanted to approach it from a different direction. From there, the other half of our solution was right under the beer glass itself. The coaster. 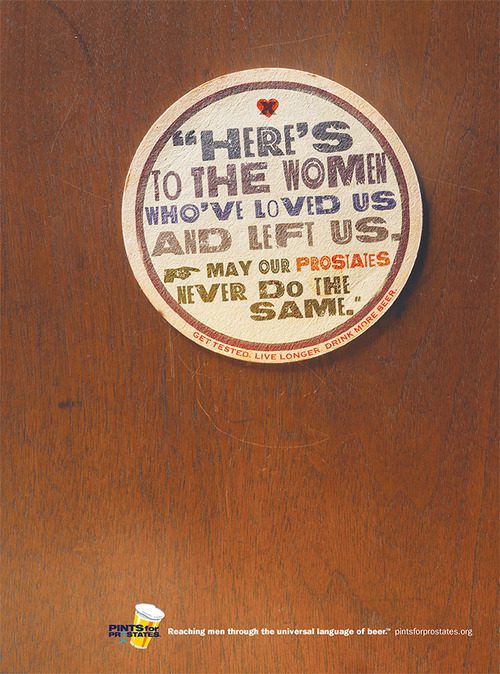 The art of the coaster has been collected and held in high esteem by countless people through the ages. In fact, Rick has a huge collection from all over the world. So, I borrowed a few for inspiration. With these coasters in hand, our next trip was to Pat Staub’s studio to photograph these coasters on an old wooden bar with a lot character. You never know when an old bar that takes up a lot of space may come in handy. After a few hours and some beautiful images, it was time to head back to EMA and start working with some great toasts that Ruben had written. There’s always pressure when working with some really great copy. Hopefully, the art direction will deliver. So, after countless starts and stops, I finally arrived at some nice typographic treatments that felt coaster-like and delivered on Ruben’s copy. Simple designs that don’t get in the way of the concept with illustrative type treatments and strong copy. Keep it simple. The added benefit of concepting is the sessions will sometimes yield some additional ideas that may not be a part of the original scope of work. 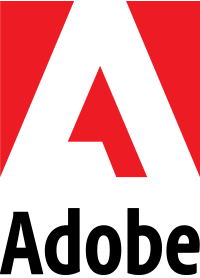 When we hit upon one of these that we really like, we will present these to our client and hope they see what we see—a great idea. In this project, Ruben came up with a great radio script that our client loved. Pints had never produce radio before, but found many radio stations wanting to run them. So, with the help of Mike Lee of 26 inch Productions and the voice of John Causby from Groundcrew, we were able to produce our radio spot, which has been a huge hit. So, you never know what can happen when you drink a few beers and concept.